Progress Report on New Works! Okay, so when we last left our heroine, a struggling writer 🙂 , she was publishing a new novella and was finishing the first draft of a new, longer novel. The novella, When Mary Met the Colonel, is published and doing well. It’s not selling as well as my novels, but that may be because it’s a Mary/Colonel Fitzwilliam story. Secondary character stories tend not to sell as well as Darcy/Elizabeth stories. However, it has received some lovely reviews on Amazon and from various JAFF bloggers, so I am very please with it! 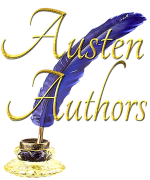 I also finished the latest draft of my new novel, Darcy vs. Bennet, a Elizabeth and Darcy P&P variation set during the Regency. No, it’s not about a court case (or a lip sync contest, LOL). The premise is that Darcy’s father (who is alive) and Mr. Bennet have a long-standing feud–which leads to many new complications for our heroes. I’m working on an official blurb and will publish it when it’s ready. The novel is now with the editor and the beta readers. When I’ve completed the final edits from them, it will be ready to publish-hopefully in a couple weeks. And…This has been a very productive, distraction-free weekend for me. So, once I finished the draft of Darcy vs. Bennet, I started on my next novel. This is also a P&P variation focused on D&E–although it will have scenes from other characters’ POVs as well (something I haven’t really done before), so it will be a bit more of an ensemble piece. I’m having fun writing it. In the past two days I’ve written nearly 11,500 words! Unfortunately I’m now heading back to the land of distractions (although I love them dearly), so my pace will slow down. I hear you, Vesper. Unfortunately the way Amazon’s pricing structure works, the author only gets 30% of the sale price if you price it below $2.99 — which makes it hard to make any money at all (particularly after publishing costs). While other authors may decide differently, for me it comes down to pricing the novella a little higher compared to novels or not writing it at all. I understand about the pricing, but I am willing to pay for a good novel. And I love the side stories about the other characters of P&P. I bought Mary and the Colonel. I am just frustrated when the story ends so quickly. I love books that are 400 or more pages. I read everyday and always look for more Jane Austen inspired novels. Keep writing and I will keep watching for new releases. I love the Ebooks as I am sight impaired and can adjust the font size. Hi Sandra, Thanks for weighing in. In general I also prefer reading and writing longer books because you can really sink your teeth into them. With my latest novella, I didn’t have a novel length idea, so it ended up being shorter. Thank you for your interest in my work! BTW my daughter loves ebooks for the same reason; because of a problem with her eyes bigger text is easier for her to read (she’s only 16!). She also does a lot of audio books on her Kindle and iphone.